This throwing axe is begging to be let loose! Crafted from solid AUS-6 stainless steel, finished in black and loaded with sharpened spikes, this axe is sure to stick your target. Includes a black nylon sheath. Measures 7 in. overall. Yes, it's small, but compact. 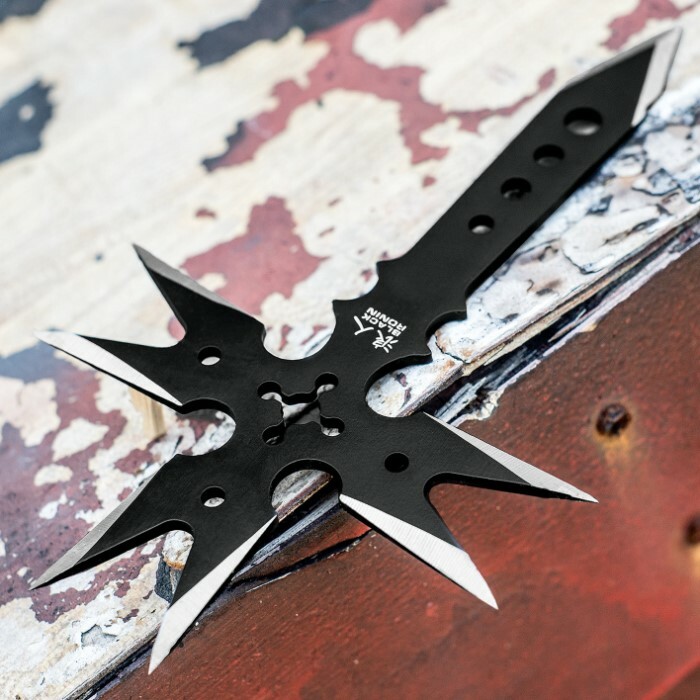 Why don't people read the descriptions about product dimensions?...anyway, this "shuriken" sticks every time. If the handle hits first, the top part spins and penetrates. The top 6 points are sharp as hell. I plan on dulling the handle-tip for carrying purposes. I want 3 more of these mini-badboys. I order this thinking it were larger then it is. However the weight is good for the size & it is kinda attractive. Don't know if i will throw it, most likely just display it. Budk is amazing. Fast shipping good prices. 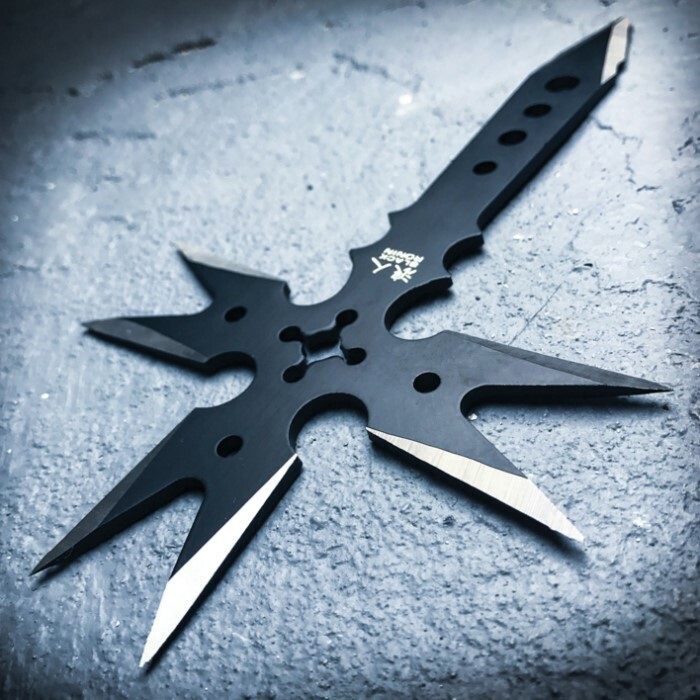 This is a nice little throwing device. I have about a 60% stick rating but only because I am throwing at a hard pine 2 x 12 at 34' but still seems well balanced and if my target was not so hard the stick rate would be higher. I watched throwing videos where they are standing maybe 10' from the target. You should just walk up to it and stick it in at that range. 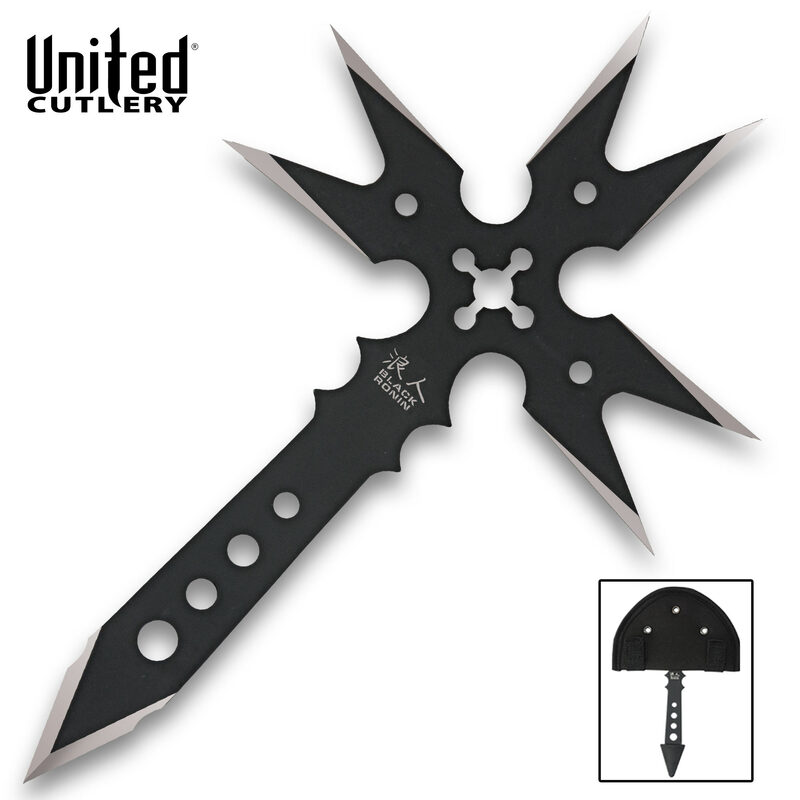 If you like to throw, purchase the Boker Magnum Beli Axe (02MB161) All stainless weighs about 2 LBS and is one BAMF. I throw from 36' and this throwing axe penetrates the hard pine 3/4" to 1" deep. I loved dart throwing and was city cup champ but got bored with it. These items purchased from BUDK made target throwing much more fun. If I could figure out how to post pictures or videos I will soon. I want to start a league on axe, knife and star throwing. I love it. Back to the item at hand, throw at a softer target and you will not be disappointed. YOU HAVE TO TRY THE ABOVE AXE I MENTIONED. YOU WILL LOVE IT! A little smaller than I would have liked, but it is bigger than the other gothic thrower AND a lot of fun to throw. The best thrower yet!! Black ronin rules!! Very pleasantly surprised when I opened this. One doesn't need hours of practice to be able to defend oneself with it. 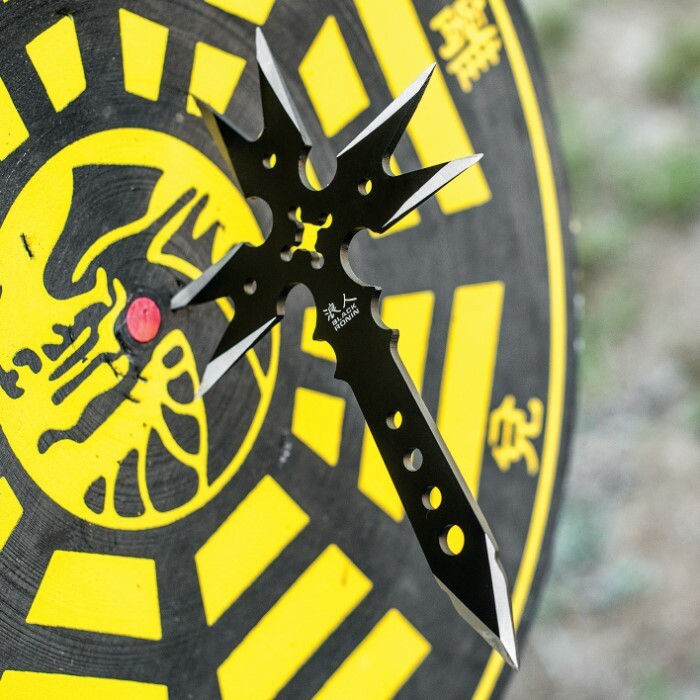 It strikes accurately and hard, and is very reasonably priced.